Serves two cheese sauces or one cheese sauce and one chili-style. 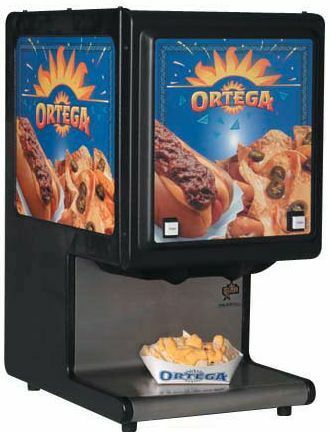 Offering 6 pounds of Cheese and 6 pounds of Chili with a Dual Star Amingo Dispensing Machine for only $100.00, with the rental of a Margarita Machine. Fast, Popular and Easy!!! Sit back and allow your guests to serve themselves. No mess or burned cheese. Great for any parties, Child or Adult! Book early, the Machine is always a favorite!